Last week classes started back up at Koç after a long and relaxing 10-day break :). 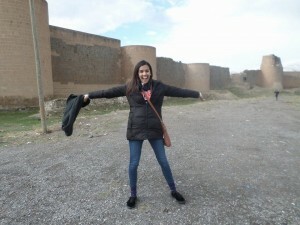 As I had mentioned in my previous post, my friend Keelia and I planned to go to a couple of different places in Turkey during the break; we actually had two other CIEE friends join us, Avery and Jordan. Our adventures began with an overnight bus from Istanbul to Izmir, and as soon as we arrived in Izmir, Keelia and I decided to go exploring and ended up seeing some ruins at Agora and meeting some other exchange students from our school in Istanbul! 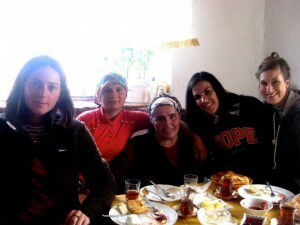 We met up with our friends for dinner that night and the next day we all left for Selçuk together in the afternoon. 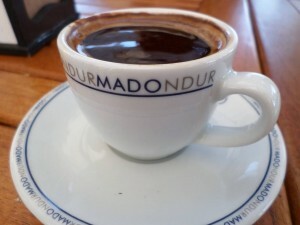 Out of all the places we visited, I have to say Selçuk had the best atmosphere and it was very relaxing and peaceful. 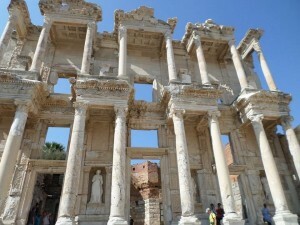 We stayed there for two days and visited The House of the Virgin Mary and Ephesus. 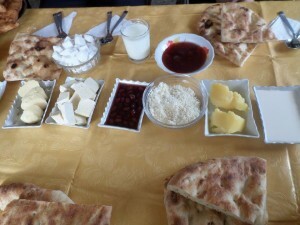 We also went to a small village called Şirince, where we bought fruit wine and had a nice dinner. 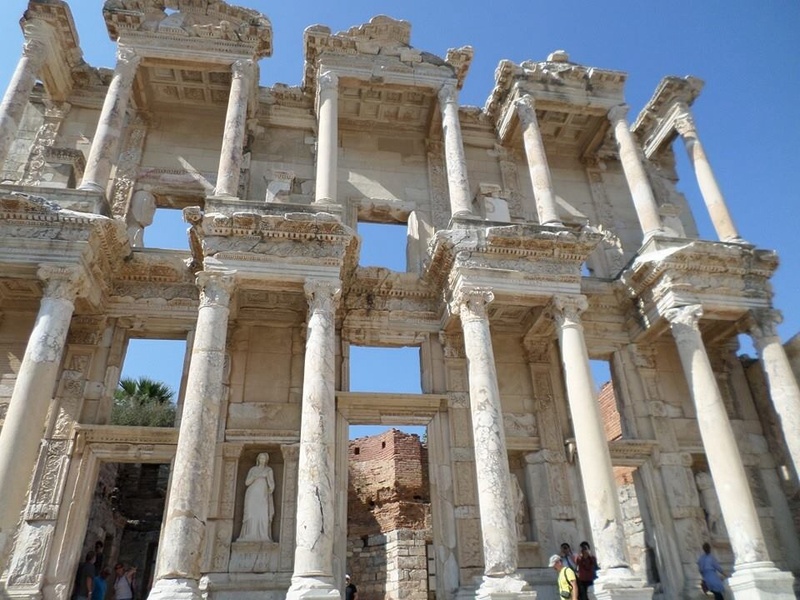 The library in Ephesus. Stunning. 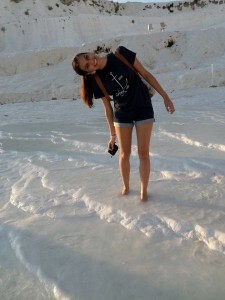 After Selçuk we went to Pamukkale for another 2 days. 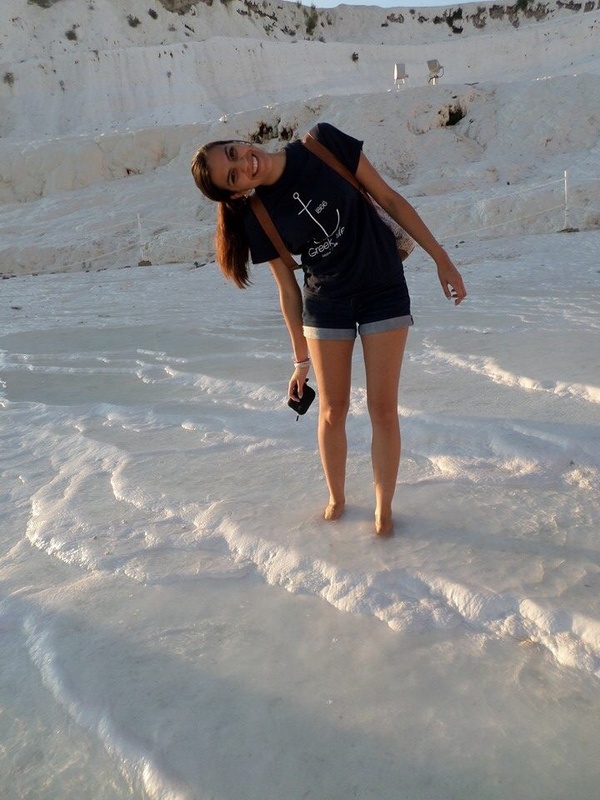 Pamukkale is breathtaking, there is a natural park where there are pools of water by travertines and it basically looks like snow but it’s way cooler. 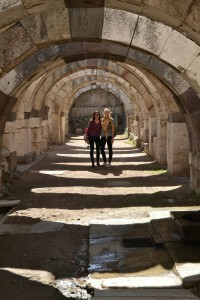 We also had the chance to see the ruins of Hierapolis which are right where the park is and that was very beautiful. Oh, and we ended up having dinner at a Japanese restaurant both nights we were there – don’t ask why haha but it was an interesting experience and probably the best Asian food I’ve had in my life. The place was run entirely by a Japanese woman and she’s the cook, server, everything. Very cool. After Pamukkale, we traveled to our final destination: beachy Bodrum! 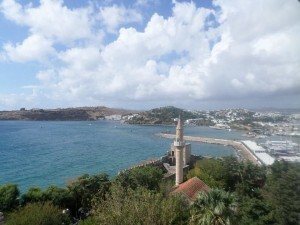 Bodrum is in the southwest of Turkey and it’s a tourist destination mainly in the summer. We ran into some rainy/cloudy weather the first two days but our last day there it was beautiful and sunny! We visited a castle there that now houses and underwater archaeology museum and we also spent some time at the beach and met up with our other friend, Tyler, who had traveled down for the break on a scuba diving trip in Marmaris. Our last day there, Keelia and I decided to go to a hamam – or Turkish bath and that was a nice way to end our break and relax before our flight back to Istanbul that night! 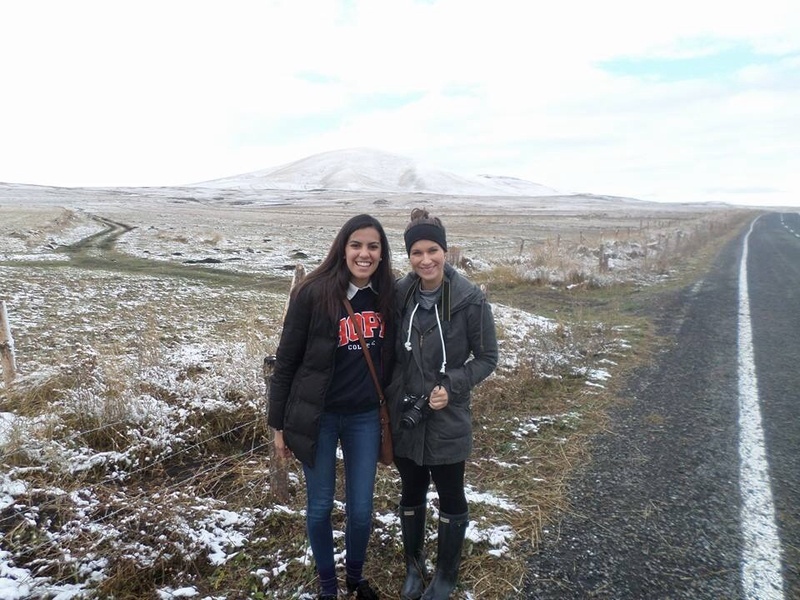 It was definitely interesting to see a completely different side of Turkey: the community Kars finds itself in is very rural and it was also extremely cold, it even snowed while we were there!! The day we flew in we had a small tour of Kars and got to see some cool architecture and learn about the history of the community and the influence of the Russians, Georgians and Armenians in the region. Our second day there was, well, interesting. Over half of our group got food poisoning from the night before and had to stay at the hotel and recover. Thankfully, my pickiness when it comes to food saved me from that one (yeah Mom and Dad, there you go 😉 ). Me and the other half of the group went to Ani, a town close to Kars, where we got to see some of the most beautiful ruins and the Armenian border. 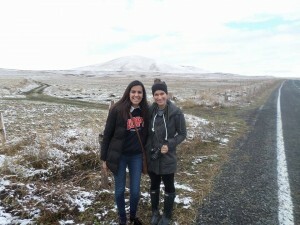 It was really, really cold but the landscape and ruins were worth the painful cold! 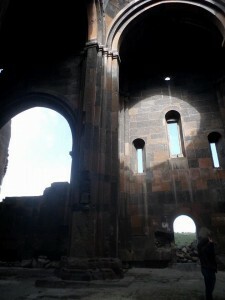 The other side is Armenia!! 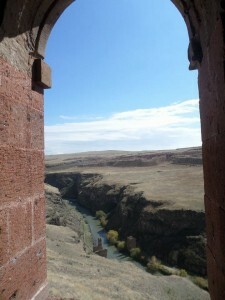 After our tour of Ani, we drove in our bus to Boğatepe, a small village about an hour away. When we arrived, we split into three groups and each group had the opportunity to eat at one of the villager’s homes. The food was fantastic and fresh and it was an amazing experience to interact (through translation from our CIEE coordinator) with our hosts and learn more about their lives. Got this from my friend Danielle; here with our host and her daughter-in-law! After our meal, we learned more about the cheese production in the village and the work of women cultivating herbs for pharmaceutical purposes.Finally, we went back to the hotel to join our sick friends who were feeling a little better after their rough day. 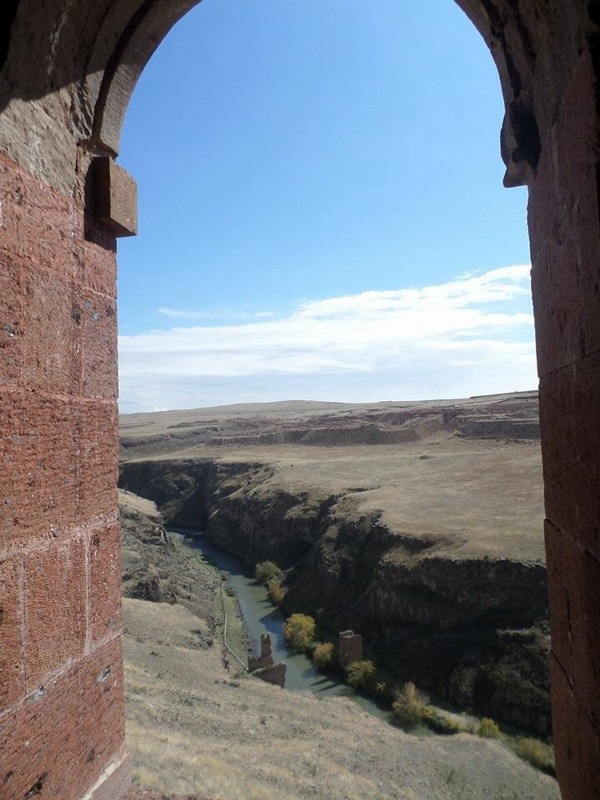 The last day in Kars we visited one of the only two bird-banding stations in Turkey, located an hour and a half from Kars. It was an interesting experience because I know absolutely nothing about birds. At these stations, birds are caught and they are examined and get a small band or bracelet on one of their feet. If that banded bird is caught again somewhere else in the world, more is learned about bird behavior and their migratory patterns, which contributes to furthering research and advocacy for their protection. Anyway, I have bored you enough with my talk about birds, but I hope you enjoyed reading about this trip as much as I enjoyed experiencing it. Today, a new adventure begins! Kurban Bayramı (a religious holiday-if you want to know more about the religious significance of it, you can read a little about it here: http://www.mymerhaba.com/Bayrams-in-Turkey-119.html) break begins today and I will be traveling with my friend Keelia for 10 days; I am super excited as we will be visiting 4 different cities in the Aegean region of Turkey: İzmir, Ephesus, Pamukkale and Bodrum. My next post will be after the holiday! Hope everyone has a nice fall break! 🙂 Hugs from Turkey! 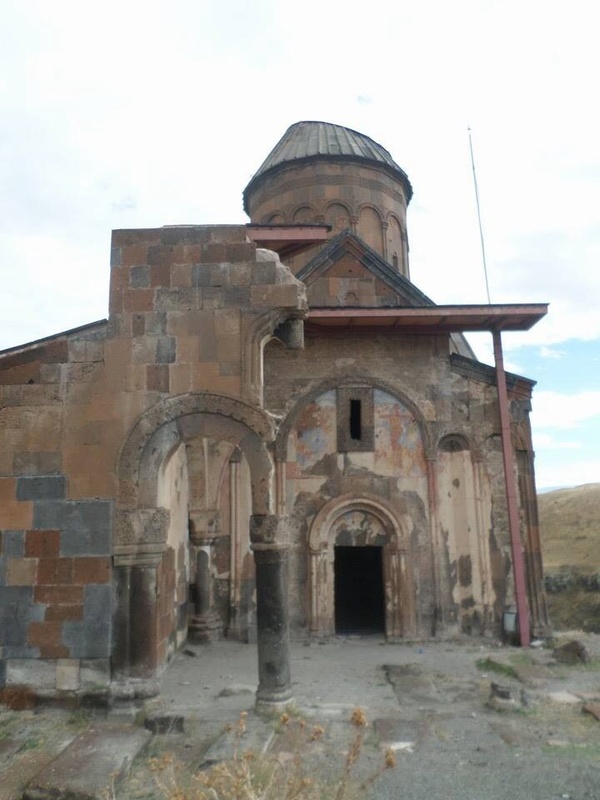 Posted on October 15, 2013 June 6, 2016 Author Angelica RodriguezCategories Culture, TravelLeave a comment on Kars Kars Kars! 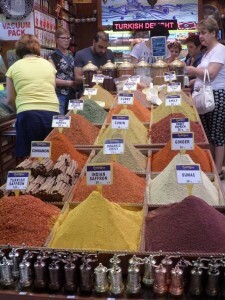 Finally, my first blog post from Istanbul! I am sorry I have not been updating at all but the past three weeks have been super busy and I was having trouble uploading pictures to the system! Anyway, I’m here!!!! And it’s been 3 weeks and I can’t believe it! 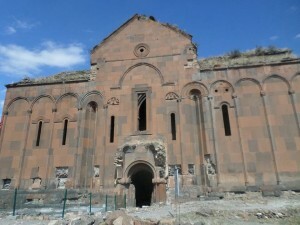 The trip here was one of the worst I’ve experienced internationally BUT I made it and that’s all that counts! During our first week here, protests in Taksim resurfaced and there was concern about what would happen but things seem to have settled for now and we are all hoping for the best. I decided to title this post “Welcome!” because I love that every time I go into a shop or restaurant or anything the Turks say it with such warmth it truly makes you feel welcome; and that’s honestly how I’ve felt ever since I arrived. I admit I was very scared of coming here, I didn’t know what to expect and leaving my Hope friends was difficult but I knew this would be different than anything I’ve experienced- and it has been. In the best possible way. 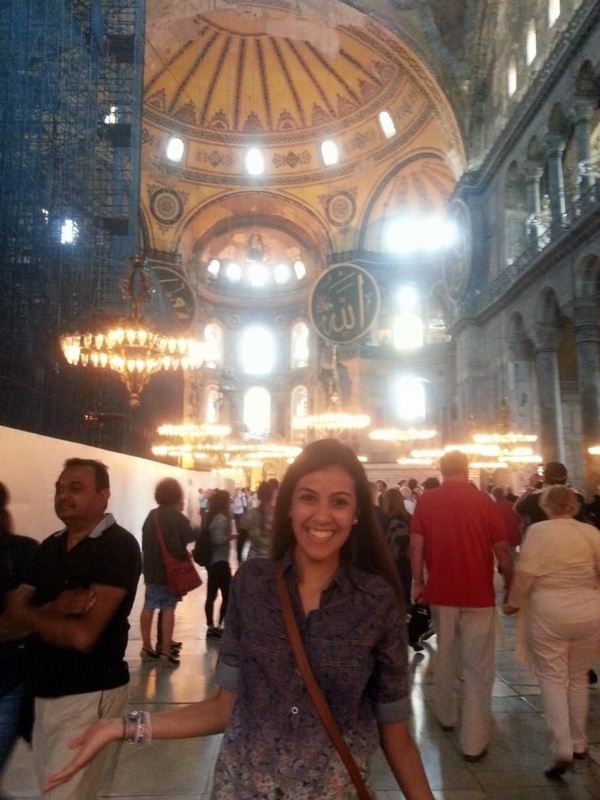 During our CIEE orientation we had the opportunity to go on a scavenger hunt in groups around Istanbul. My group got to explore Sultanahmet, the historic district, and it was truly an adventure! That was honestly the moment the realization of being here hit me. 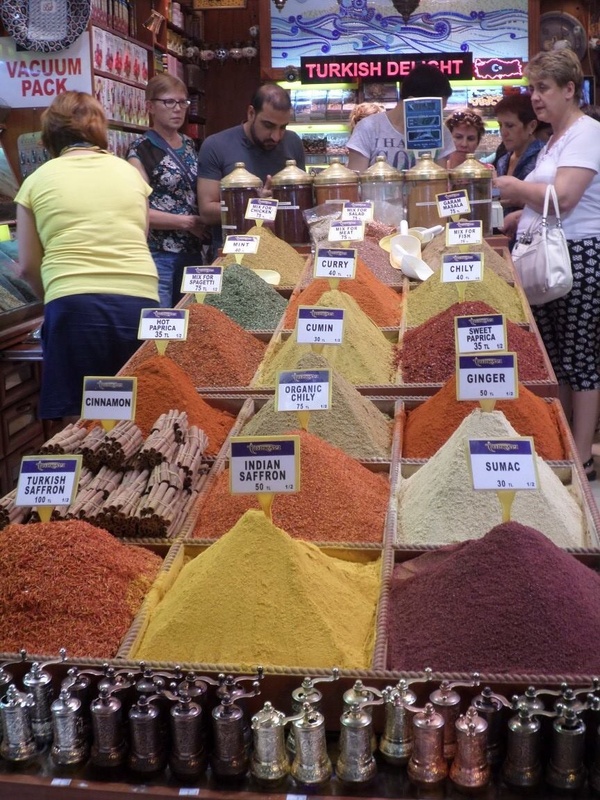 We had the chance to visit our first mosque and we also went to the spice market – it was so much fun! 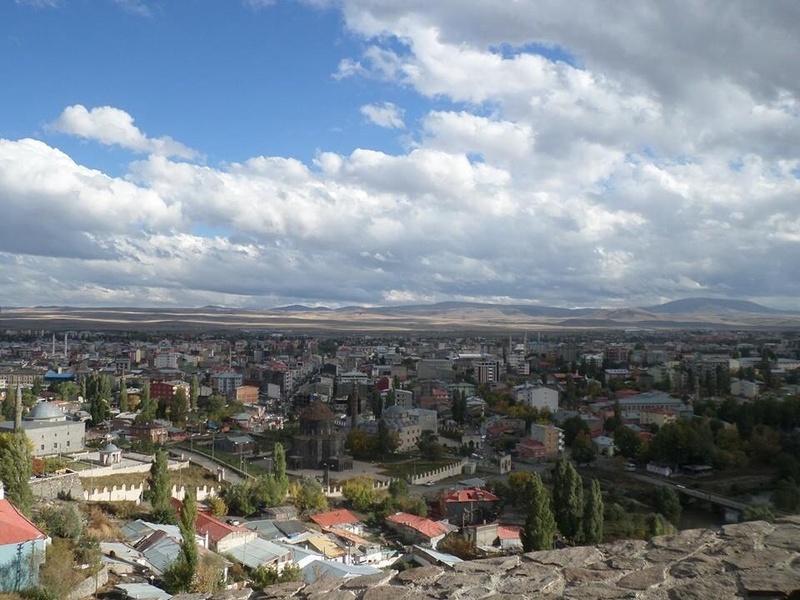 The language barrier has been the toughest part of my journey; Turkish is a very difficult language but I am working hard at it and I hope that by the end of my stay here I am able to communicate more efficiently. Guys, I love it here. Istanbul is so alive and even though the traffic is insane and it’s so crowded everywhere, there is some magic in that chaos that I can’t put into words. 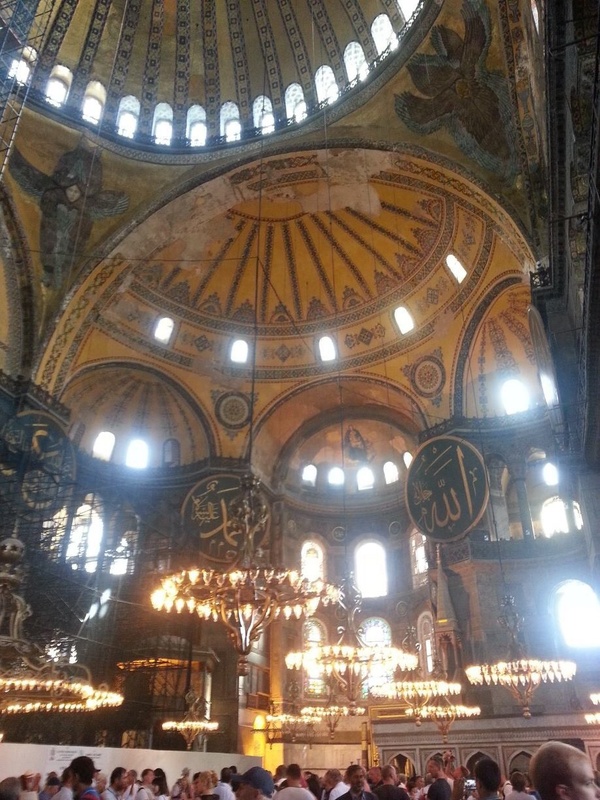 My favorite historical site that I’ve visited is definitely the Hagia Sophia: formerly a church and now a museum. The mosaics and architecture are astounding and the walls and ceilings just took my breath away! I just ended my second week of classes – registration was super stressful but I am happy with my final course selections and I look forward to learning more about Turkish culture and society and exploring things from a different perspective. 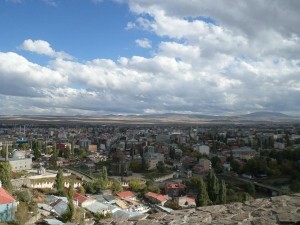 Next weekend we’re going on a trip to Kars, a small town in northeastern Turkey, very close to Armenia. It will definitely be interesting to see a whole different part of Turkey (I hear) and compare it to what I’ve seen in Istanbul so far. I think one of the reasons I’ve fallen in love with this city so quickly is it’s complexity; there is such a mix of EVERYTHING here and the tension between ‘modern’ and ‘traditional’, ‘east’ and ‘west’ is very tangible. 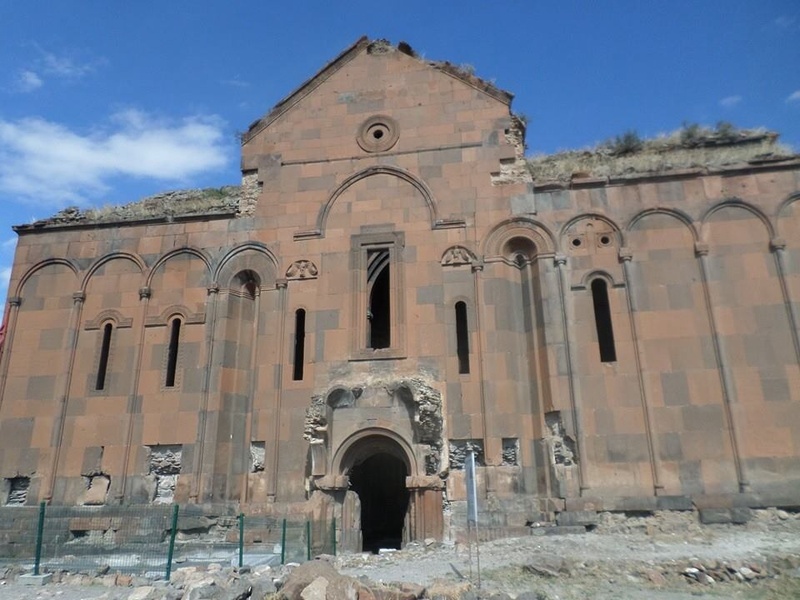 Posted on September 27, 2013 June 6, 2016 Author Angelica RodriguezCategories Academics, Culture, Daily LifeTags Adventure, Daily Life, Fun, TurkeyLeave a comment on Hoş geldiniz!